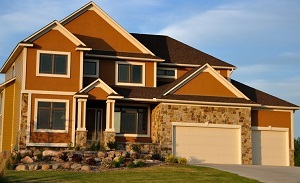 The roof of your home is absolutely essential to your family's comfort and security. It provides your property with protection against inclement weather and the elements. At Magnum Contracting Group, our Bayville roofing contractors are here to help ensure that your roof always performs these critical functions in the best possible fashion. Our highly skilled roofing contractors can care for your roofing system at all stages of its service life, from installation to repair and replacement. In every service that we provide, our main goal is to add long term value and beauty to our customer's property. We will bring this dedication to excellence to task for you during your next roofing project. 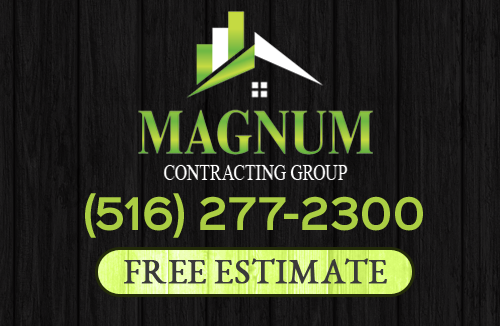 Call Magnum Contracting Group today if you need to hire a professionally licensed roofing contractor in Bayville, NY. Our polite staff would be happy to assist you in any way that we can. Our knowledgeable experts would be glad to answer any of your roofing questions. We can schedule your appointment today. Keeping your roof in the best possible condition is vitally important. If there are leaks in your roofing system, the rest of your property becomes threatened and damage will continue to occur at an ever-accelerating pace. At the first sign or roof damage, you should contact a professional for help. At Magnum Contracting Group, our Bayville roofing contractors are here to help. We proudly provide both routine roof maintenance and emergency roof repairs in Bayville, NY. Our professionals can conduct routine roof inspections is order to find and repair any issues before they become major problems. If your roofing system suffers extensive damage, our team is ready to provide for your emergency repair and insurance restoration needs. We can work hand-in-hand with you and your insurance in order to make the process seamless and quick. Our team can conduct the most extensive repairs. Afterwards, your roofing system will provide the protection and beauty that your Bayville property deserves. At some point in time, every roof needs to be replaced. Knowing when to conduct repairs or a complete replacement is difficult without expert help. Our Bayville roof replacement experts are ready to assist you with this effort. If you are looking for a professional Bayville roofing contractor then please call 516-277-2300 or complete our online request form.